Watching all the movies on the Warner Bros. 50-movie box set that I bought for cheap. This week the random number feels lucky as it selects Dirty Harry. 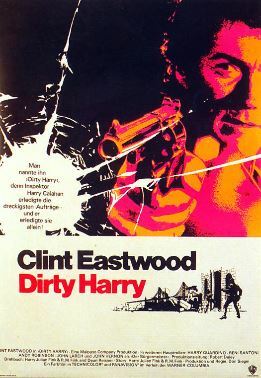 Here’s what happens: “Dirty” Harry Callahan is a homicide detective who doesn’t give a damn for the rules. He’s in pursuit of a serial killer known only as Scorpio, and no laws or bureaucracies are going to stop him. Why it’s famous: Clint Eastwood as his most growly, doing his “Do you feel lucky, punk?” routine in one of the definitive gritty ‘70s cop films. 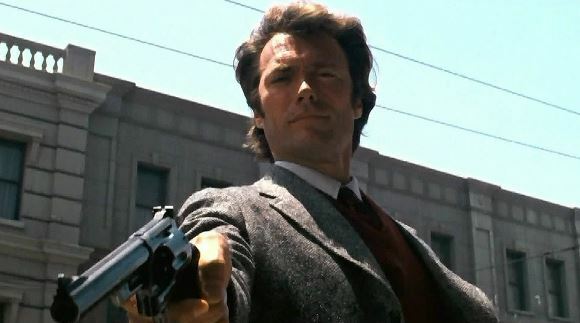 Get your film degree: For as influential as Dirty Harry has been to the cop movie genre, it also bucks a lot of cop movie tropes. There’s no inciting incident that turns Harry from a good cop into a bad cop. 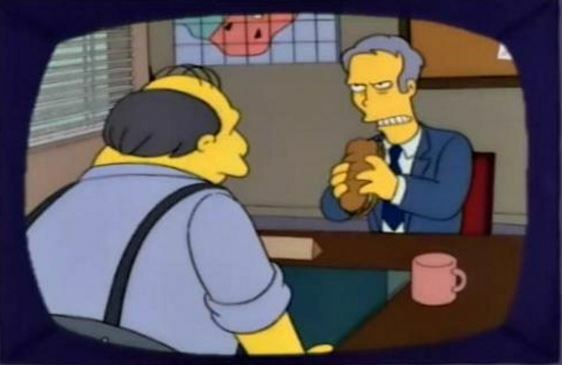 Also, there are plenty of scenes with the angry police chief chewing Harry out, but the chief’s words bounce right off Harry, who just keeps on like he always does. Movie geekishness: Yes that’s Andrew Robinson, a.k.a. Garak from Star Trek: Deep Space Nine as Scorpio. He’s not a spy, just a humble tailor. Thoughts upon this viewing: I’m torn on this one. When it sticks to cop vs. psycho stuff, it’s a compelling thriller. When we take a break from the action, we get the movie’s downbeat politics, in which Harry does whatever he wants because the system (government, police, etc.) has failed. This dreary worldview makes it hard to enjoy the guns n’ chases action. Next: All about the Benjamin.